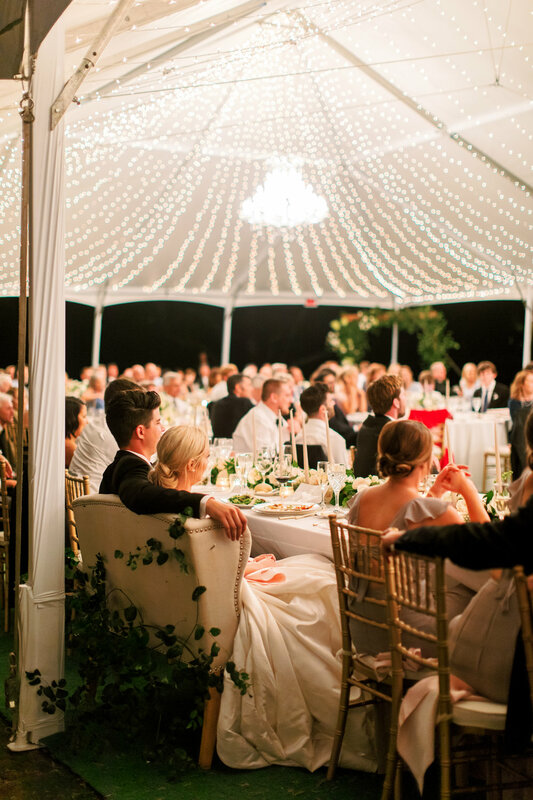 At the beautiful Rancho Santa Fe Golf Course, Lauren and Josh created the perfect start to their fairytale by envisioning each component from scratch. With a blank canvas, I Love You More Events was overjoyed to create a unique and custom wedding design for the beautiful couple. After months of dreaming and planning, Josh and Lauren married under a cloudless sky, beneath the exquisite arch and florals by Compass Floral. 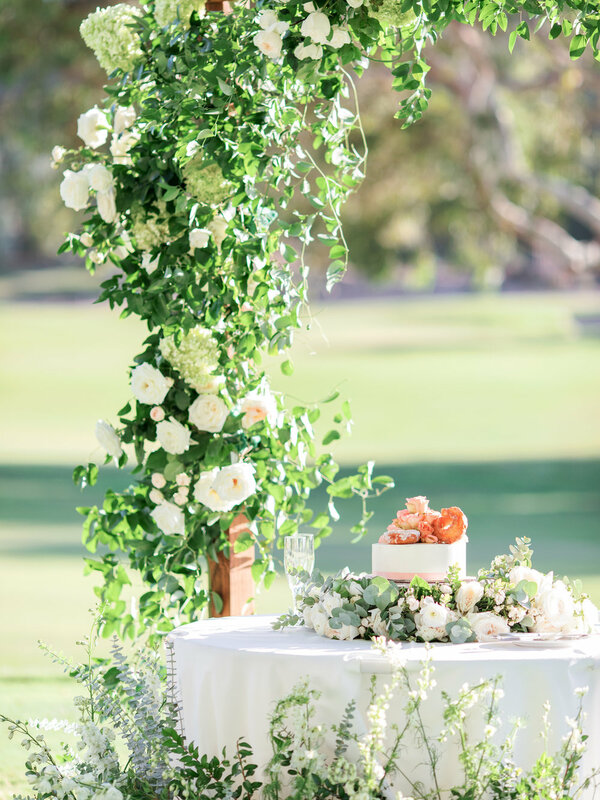 The gentle rolling hills of the golf course provided a serene backdrop of soft-green that helped accent the beautiful rustic wood arch adorned with the white, delicate roses. Rachael McCall perfectly captured the love and joy exuded from each person present for Josh and Lauren’s union. Surrounded by friends and family, Lauren took the breath away of her guests and most importantly, Josh, as she glided down the aisle with her proud father. Invitees continued the party down a stunning path of lanterns leading to a spectacular white tent adorned with twinkling lights and chandeliers from Bright Event Rentals. The Jordan Music Entertainment Band greeted friends and family with upbeat vocals and electric guitars to set the tone of a party that had just begun. White tables decorated with bright greenery and accented white florals also welcomed guests to their seats. The glittering gold chiavari chairs, silverware, and rimmed chargers added a special elegance as shimmers of crystal glasses reflected the personalized dinner all provided by TBD Rentals. Lauren and Josh took customization to new heights by allowing each guest to enjoy a perfect dinner with numerous stations. With the party in full-swing, friends and family capped a decadent evening of celebrations with Josh and Lauren by dancing and munching on made-to-order donuts. Smiles across every face in sight, Josh and Lauren shared their customized, tailored wedding fit for a king and queen.